A new analysis puts New Hampshire near the top of the list of the best states for finding work, just in time for incumbent Gov. Chris Sununu (R) to hit the summer campaign trail. 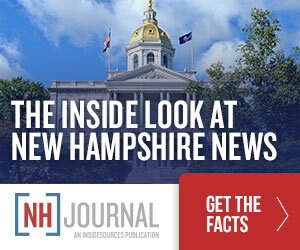 According to WalletHub.com, New Hampshire is the 5th best place to be if you’re looking for a job. Their analysis also puts the Granite State at the top of the list for “Most Job Opportunities” in the US and is tied for #1 in lowest unemployment. Last month, New Hampshire was named “Best Business Climate In New England,” and its status has been steadily rising as unemployment has declined. This is good news, not just for Gov. Sununu, but for all New Hampshire Republicans running in November. The strength of the overall economy–including the lowest unemployment rate since before the tech bubble burst in 2000–is credited for the narrowing gap between Republicans and Democrats on the generic ballot. If these numbers hold through the fall, Republicans will be more competitive in swing districts like NH-01, as well as at the state and local level.